Bent Water is one of our favorite local breweries and located on Commercial Street at the site of the old Lynn lumber yard, in the heart of the newly developing Lynn Waterfront District. 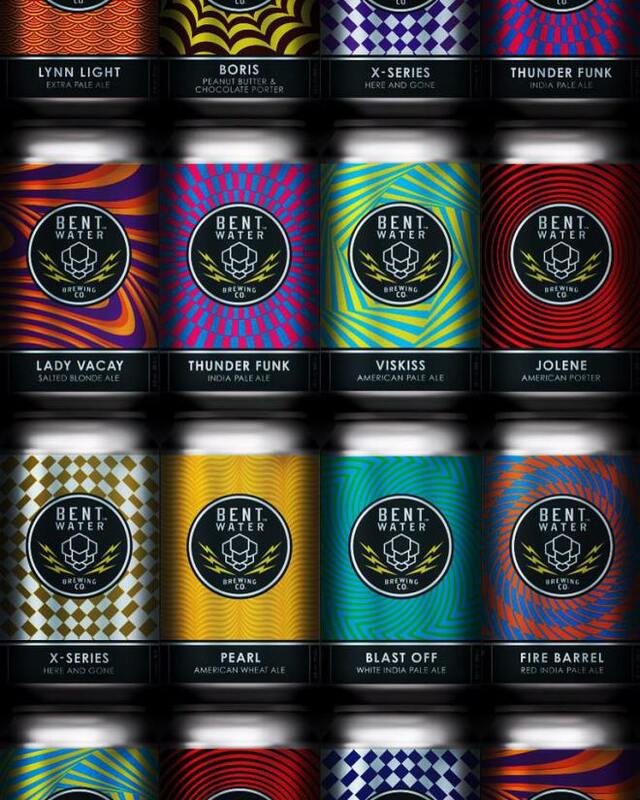 Bent Water is self-canning, self-distributing and boasts an awesome taproom featuring 13 rotating taps. In addition to using standard steel fermenters, Bent Water is the first brewery east of the Mississippi River to use concrete vats typically used for wine fermenting in Sonoma, California. Thunder Funk pours a hazy orange color and has notes of mango, citrus, pine and orange marmalade. Sluice Juice is back! Aromatics of orange, tangerine and lime peels. Hazy and smooth. Viskiss is a deep golden with aromas of pine and citrus with floral undertones, while its English malt provides notes of toffee and caramel. A malted wheat backbone leads into a just a touch of hoppy bitterness. Easy peasy!